After the Congress released its first list on Sunday, disgruntled party workers had held protests in Surat, Dhoraji and Jamangar on Monday over the choice of nominees. 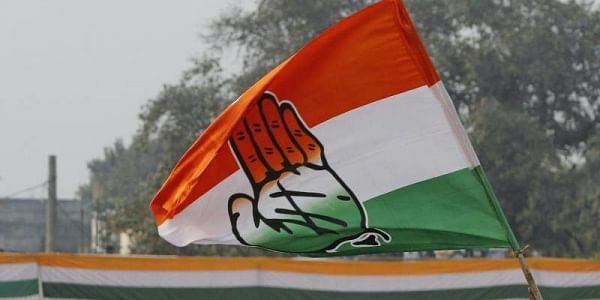 AHMEDABAD: In a strategic move, the Congress has replaced five out of the 90 candidates it had announced so far for the Gujarat polls, scheduled next month. The party last night released its second list of 13 candidates, comprising nine new candidates, apart from four replaced nominees who were on the first list of 77 candidates. The first list was released on November 19. The names of the five new entrants in the candidate list are: Bhikhabhai Joshi (Junagadh), Jayesh Patel (Bharuch), Ashok Jirawala (Kamrej), Dhirubhai Gajera (Varaccha Road) and D M Patel (Botad). They have replaced Amit Thummar, Kiran Thakor, Nilesh Kumbani, Prafulbhai Togadiya, and Manhar Patel, respectively. Gujarat Congress unit president Bharatsinh Solanki said the replacement was part of a strategy. "These changes are done as part of a strategy. We have to keep in mind various factors as well as the feedback we received from the party workers," he said. Gujarat Congress spokesperson Manish Doshi said D M Patel will contest from Botad seat, a Patel-dominated area where he faces senior BJP leader and state Finance Minister Saurabh Patel. In the first list, the Congress gave tickets to only two members of the Patidar Anamat Andolan Samiti (PAAS) as against the 20 seats demanded by the Hardik Patel-led organisation. Hardik's close aide and PAAS convener for Botad, Dilip Sabva today said since the Congress has chosen D M Patel for the seat, he was now exploring other "options". "We (Patidars) are working hard since the last two-three years to overthrow the BJP government. When the BJP has fielded a strong candidate like Saurabh Patel, the Congress should have taken a wise decision. We may tap other options now," Sabva told reporters in Botad. The polling for the two-phase polls will be held on December 9 and December 14. Votes will be counted on December 18. Out of 182 seats up for grabs, 89 seats will go to poll in the first phase and 93 in the second phase.